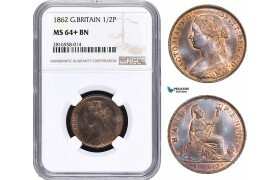 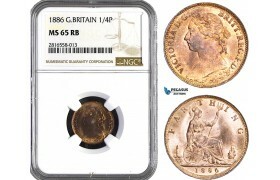 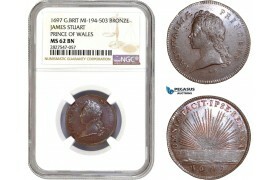 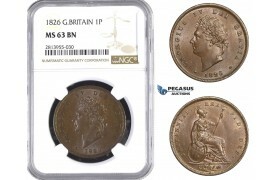 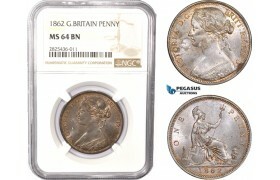 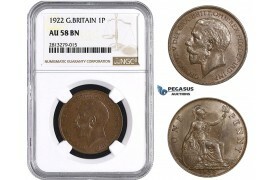 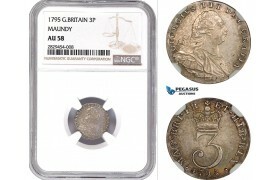 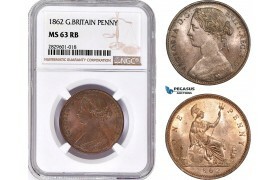 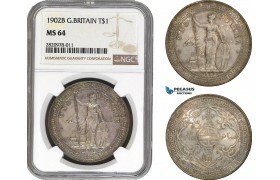 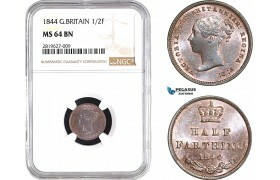 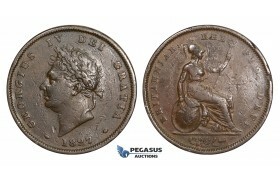 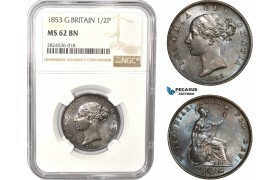 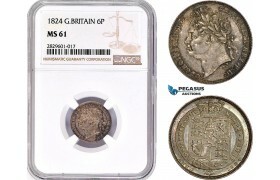 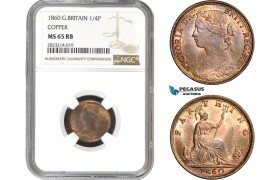 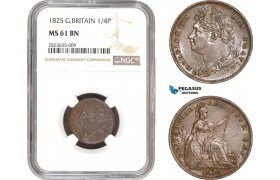 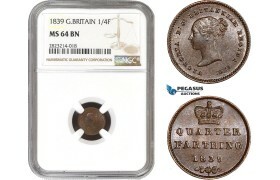 AA244, Great Britain, George IV, Farthing (1/4P) 1826 (Bare Bust) NGC MS63BN ..
AA245, Great Britain, Victoria, Half Penny 1900, NGC MS64RB ..
AA246, Great Britain, George V, Half Penny 1916, NGC MS65RB ..
AA247, Great Britain, George V, Half Penny 1935, NGC MS65RB ..
AA248, Great Britain, Victoria, Penny 1901, NGC MS64RB ..
AA249, Great Britain, George V, Penny 1922, NGC AU58BN ..
AA250, Great Britain, George V, Penny 1932, NGC MS64BN ..
AA252, Great Britain (for Asia) Trade Dollar 1902-B, Bombay, Silver, NGC MS63 ..
AA348, Great Britain, Victoria, Penny 1866, NGC MS65BN ..
AA400, Great Britain, George IV, Penny 1826, London, NGC MS63BN ..
AA541, Great Britain, George V, Threepence (3P) 1913, Silver, NGC MS66, Pop 5/0, No Finer! 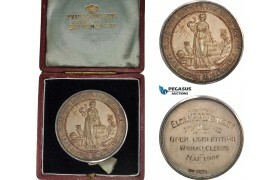 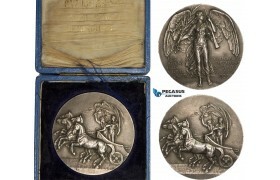 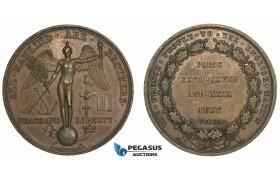 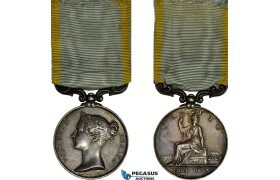 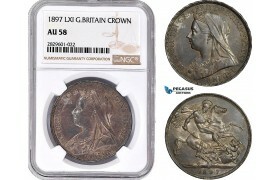 ..
AA878, France & Great Britain, Bronze Medal 1830 (Ø36mm, 21g) by Gayrard, Peace & Lib..
AA882, Great Britain, Silvered Bronze Medal 1908 (Ø50.7mm, 59.5g) by Mackennal for Vaughton, ..
AB026, Great Britain, Victoria, Farthing (1/4P) 1886, NGC MS65RB ..
AB027, Great Britain, Victoria, 1/2 Penny 1862, NGC MS64+ BN ..
AB382, Great Britain, Trade Dollar 1911-B, Bombay, Silver, AU-UNC (Faint hairlines) ..
AB476, Great Britain, Victoria, 1/2 Crown 1887 (Jubilee Head) London, Silver, NGC MS63 ..
AB691, Great Britain, Victoria, 1/2 Farthing 1844, NGC MS64BN ..
AB692, Great Britain, Victoria, Shilling 1864 (Die 51), Silver, NGC AU58 ..
AB877, Great Britain, Trade Dollar 1902-B, Bombay, Silver, NGC MS64 ..
AB937, Great Britain, Silver Medal 1906 (Ø44.5, 40.25g) by Vaughton, Owl, Civil Service Collegem Original Box! 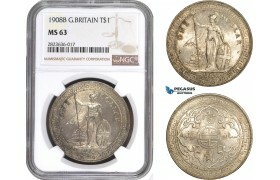 AB937, Great Britain, Silver Medal 1906 (Ø44.5, 40.25g) by Vaughton, Owl, Civil Service Colle..
AC054, Great Britain, Trade Dollar 1908-B, Bombay, Silver, NGC MS62 ..
AC105, Great Britain for use in Ceylon, George IV, 1/2 Farthing 1830 (Type A) UNC (Faint hairlines) ..
AC106, Great Britain, George III, "Cartwheel" Penny 1797-Soho, Stained, Lustrous AU-UNC ..
AC107, Great Britain, Victoria, "Gothic" Florin 1853, London, Silver, Toned gVF ..
AC200, Great Britain, Bronze Medal 1812 (Ø54mm, 84g) by Webb, Duke of Wellington, Rare! 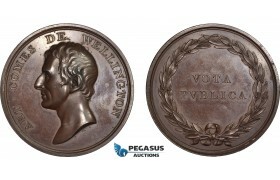 AC200, Great Britain, Bronze Medal 1812 (Ø54mm, 84g) by Webb, Duke of Wellington, Rare! 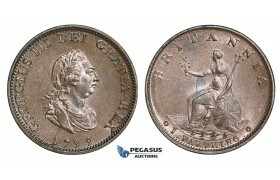 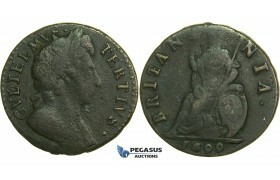 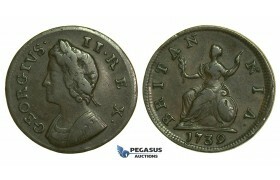 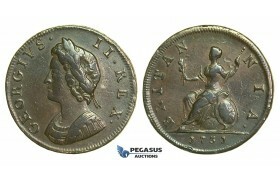 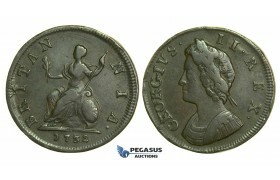 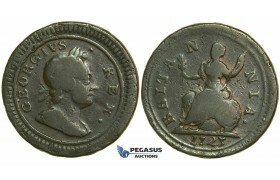 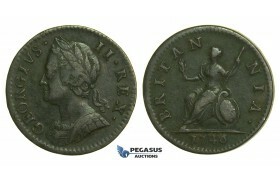 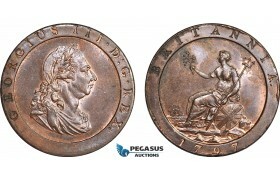 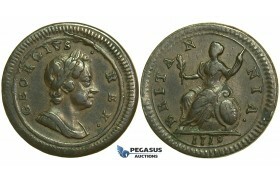 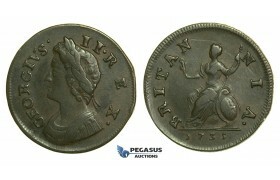 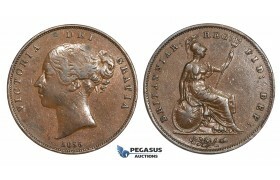 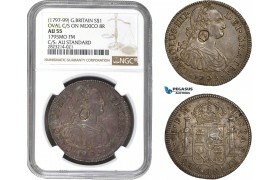 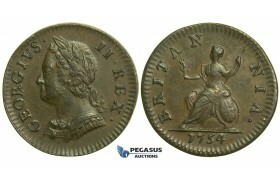 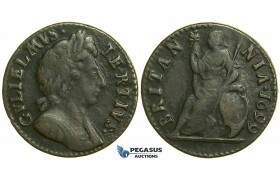 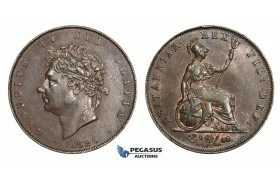 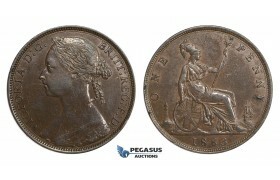 XF ..
AC238, Great Britain, Victoria, 1/4 Farthing 1839, London, NGC MS64BN ..
AC239, Great Britain, Victoria, Farthing 1860, London, NGC MS65RB ..
AC240, Great Britain, George III, 1/2 Penny 1771, London, NGC AU58BN ..
AC241, Great Britain, George III "Emergency Dollar" 1795, Oval C/S on 8 Reales 1795, Mexic..
AC297, Great Britain, George IV, Farthing (1/4 Penny) 1825, London, NGC MS61BN ..
AC298, Great Britain, Trade Dollar 1908-B, Bombay, Silver, NGC MS63 ..
AC377, Great Britain, George IV, 1 Shilling 1825 "Bare Bust" London, Silver, NGC MS64+, Po..
AC378, Great Britain, Victoria, 1/2 Penny 1853, London, NGC MS62BN ..
AC379, Great Britain, Victoria, 1 Penny 1862, London, NGC MS64BN ..
AC467-R, Great Britain, Victoria, "Maundy" 1 Penny 1887, London, Silver, NGC MS65+ ..
AC468-R, Great Britain, Victoria, "Maundy" Twopence (2P) London, Silver, NGC MS65 ..
AC519, Germany& Great Britain, Bronze Medal 1825 (Ø39.5mm, 34.9g) by Kruger, Carl Maria v..
AC622, Great Britain, Trade Dollar 1899-B, Bombay, Silver, Cleaned AU ..
AC647, Great Britain, Victoria, 1 Shilling 1866 Die# 55, London, Silver, Toned XF ..
AC712, Great Britain, James Stuart Prince of Wales, Bronze Medal 1697, MI-194-503, NGC MS62BN ..
AC846, Great Britain, Victoria, Crown 1893 (LVI) Royal Mint, Silver, F-VF ..
AC847, Great Britain, George VI, Crown 1951, Royal Mint, Proof ..
AC871, Great Britain, Victoria, 1 Penny 1862, NGC MS64RD ..
AD098, Great Britain, Victoria, Silver Medal 1854 – 1855 (36mm, 36.8g) by Wyon, Baltic Campaig..
AD142-R, Great Britain, Victoria, "Maundy" Twopence (2P) 1858, Silver, NGC MS64 ..
AD143-R, Great Britain, Trade Dollar 1897-B, Bombay, Silver, NGC MS62 ..
AD205, Great Britain, George III, "Maundy" Threepence (3P) 1795, Silver, NGC AU58 ..
AD206, Great Britain, George IV, Sixpence (6P) 1824, Silver, NGC MS61 ..
AD207, Great Britain, Victoria, 1 Penny 1862, NGC MS63RB ..
AD208, Great Britain, Victoria, 1 Penny 1863, NGC MS64BN ..
AD209, Great Britain, Victoria, 1 Penny 1890, NGC AU55BN ..
AD210, Great Britain, Victoria, Crown 1897 LXI, Silver, NGC AU58 ..
AD211, Great Britain, Victoria, 1 Sovereign 1857, Royal Mint, London, Gold, NGC MS63, Pop 1/0 ..
AD212, Great Britain, Edward VII, Crown 1902, Silver, NGC AU58 ..
AD213, Great Britain, George V, Crown 1935, Silver, Jubilee, Incuse Edge Let. 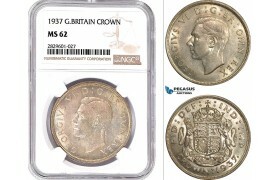 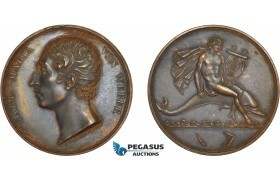 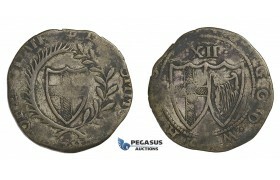 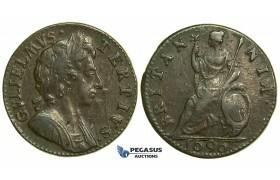 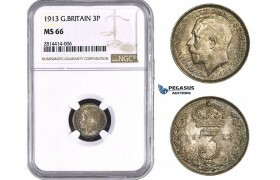 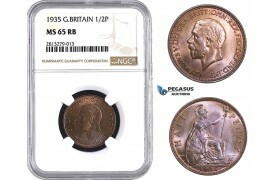 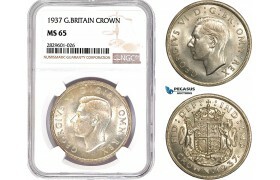 NGC MS63 ..
AD214, Great Britain, George VI, 1 Penny 1937, NGC MS67, Pop 1/0 ..
AD215, Great Britain, George VI, Crown 1937, Silver, NGC MS65 ..
AD216, Great Britain, George VI, Crown 1937, Silver, NGC MS62 ..
AD217, Great Britain, George VI, Crown 1937, Silver, NGC MS64 ..
AD271, Great Britain, George III "Emergency Dollar" 1797, Oval countermark of George III o..
AD323, Great Britain, Victoria, Penny 1861, Cleaned AU ..
AD352, Great Britain, Victoria, 1/2 Penny 1897 "High sea level" NGC MS65RB ..
AD353, Great Britain, George V, Crown 1928, Silver, NGC AU58 ..
E98, Great Britain, Commonwealth, Shilling (Date not vissible) Silver (5.82g) mm. 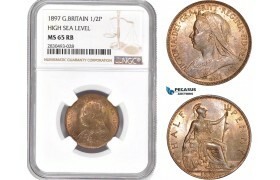 Anchor, Tower mint, Rare! 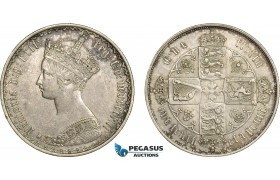 E98, Great Britain, Commonwealth, Shilling (Date not vissible) Silver (5.82g) mm. 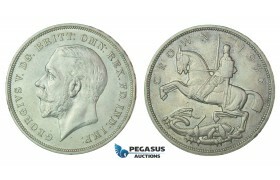 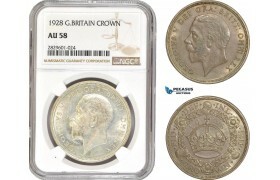 Anchor, Tower mint..
F36, Great Britain, Victoria, Crown 1892, Silver ..
F37, Great Britain, George V, Crown 1935, Silver, High Grade! 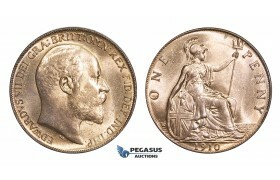 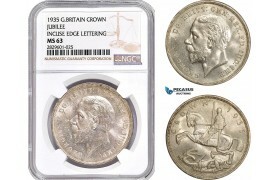 F37, Great Britain, George V, Crown 1935, Silver, High Grade! 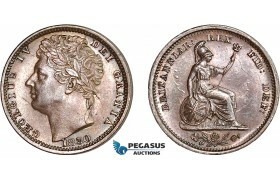 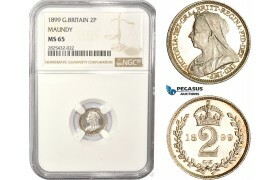 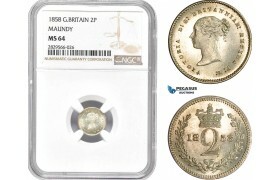 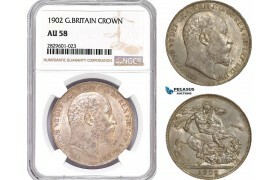 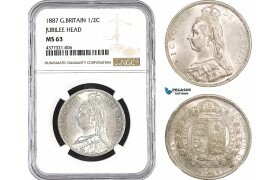 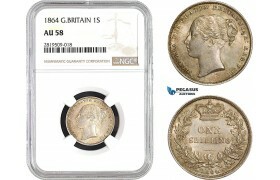 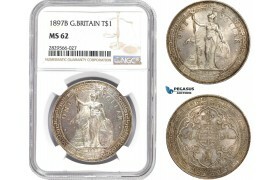 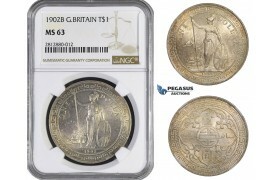 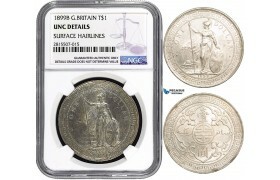 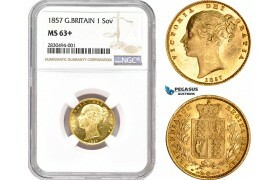 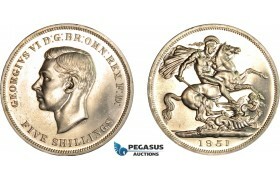 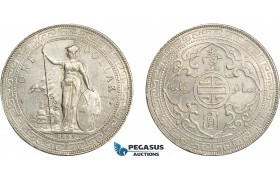 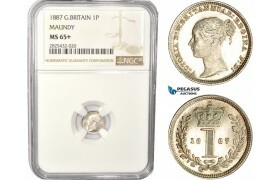 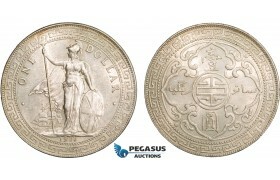 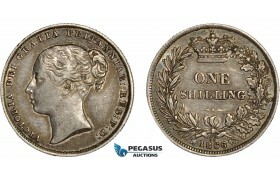 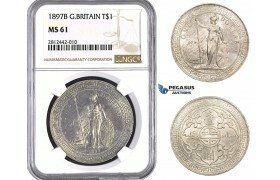 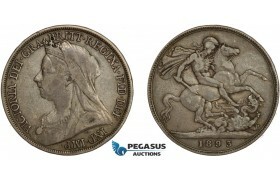 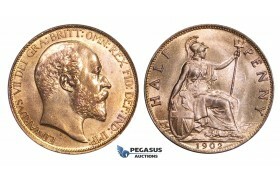 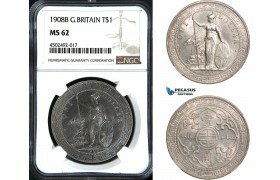 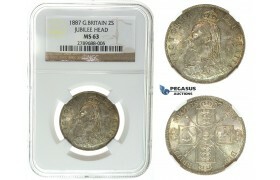 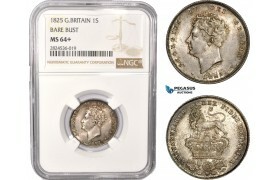 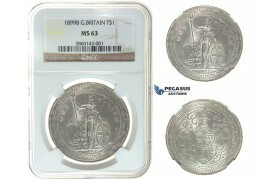 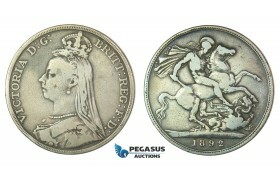 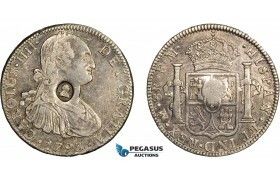 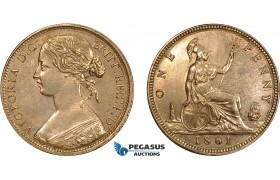 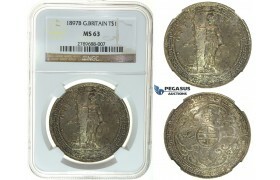 ..
I46, Great Britain, Victoria, Florin 1887 (Jubilee Head) Silver, NGC MS63 ..
I47, Great Britain, Edward VII, 1/2 Crown 1910, Silver, NGC MS63 ..
I48, Great Britain, Trade Dollar 1897-B, Bombay, Silver, NGC MS63 ..
I49, Great Britain, Trade Dollar 1899-B, Bombay, Silver, NGC MS63 ..
K26, Great Britain, William III, Farthing 1696, Small "B" in Britannia, GVF-EF ..
K27, Great Britain, William III, Farthing 1699 (Date in legend) Rare! 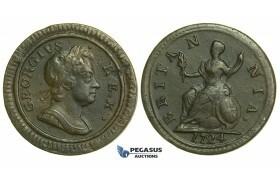 VF ..
K28, Great Britain, William III, Farthing 1699, F-VF ..
K29, Great Britain, George I, Farthing 1719, Second Issue, VF (Minor scratch on Obv.) 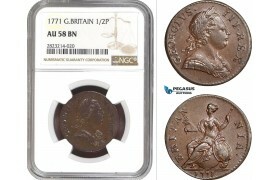 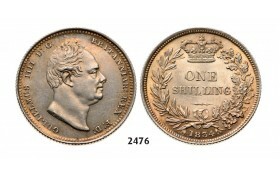 ..
K30, Great Britain, George I, Farthing 1723, Fine ..
K31, Great Britain, George I, Farthing 1724, VF ..
K32, Great Britain, George II, Farthing 1730, VF ..
K33, Great Britain, George II, Farthing 1731, VF ..
K34, Great Britain, George II, Farthing 1732, VF ..
K35, Great Britain, George II, Farthing 1735, VF ..
K36, Great Britain, George II, Farthing 1736, VF ..
K37, Great Britain, George II, Farthing 1737, VF (Some corrosion) ..
K38, Great Britain, George II, Farthing 1739, VF ..
K39, Great Britain, George II, Farthing 1744, GVF ..
K40, Great Britain, George II, Farthing 1746, VF ..
K41, Great Britain, George II, Farthing 1749, EF ..
K42, Great Britain, George II, Farthing 1750, GVF ..
K43, Great Britain, George II, Farthing 1754, EF ..
K44, Great Britain, George III, Farthing 1771, AEF ..